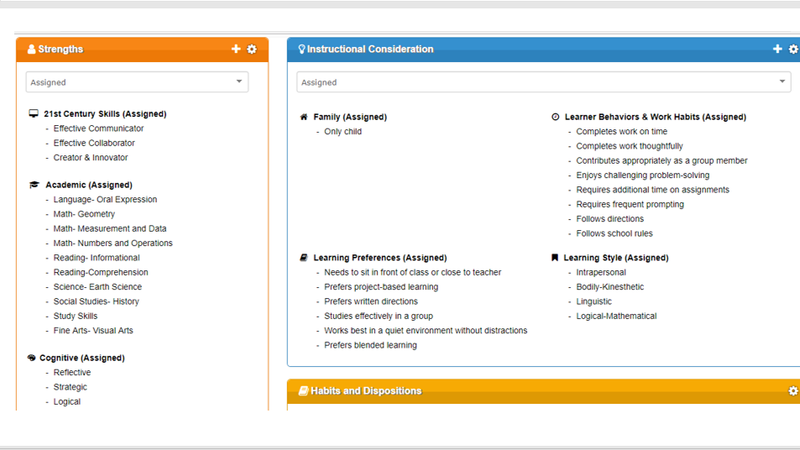 Build out Learner Profiles: creating a holistic portrait of each student as a learner. Reflect on student mastery: analyzing academic data and creating a portfolio tagged to Locust Grove’s competency framework. 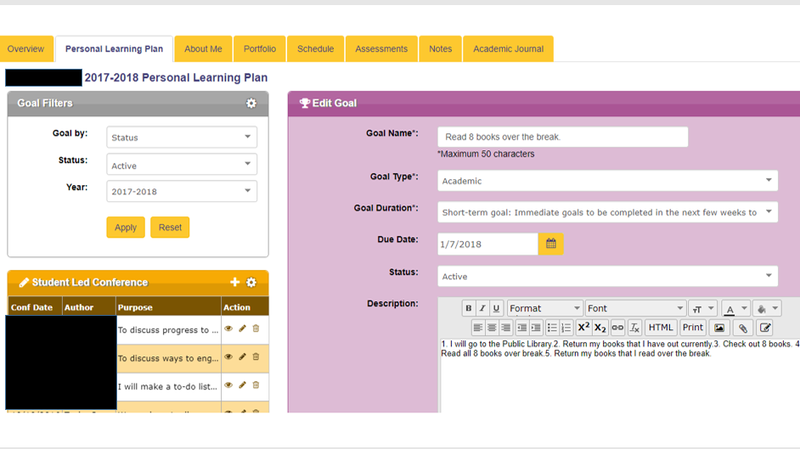 Set personal and academic goals: creating action steps and tracking progress towards short and long-term goals. Discuss progress towards cross-curricular projects: collaborating with other students and teachers in creating plans and problem solving progress, and building the habits and 21st-century skills to support student work. During the Advisory period, teachers circulate and often conference with students, giving guidance and support in various activities, particularly setting goals. Teachers will often support students in creating SMART goals and reflecting on progress towards the goals. 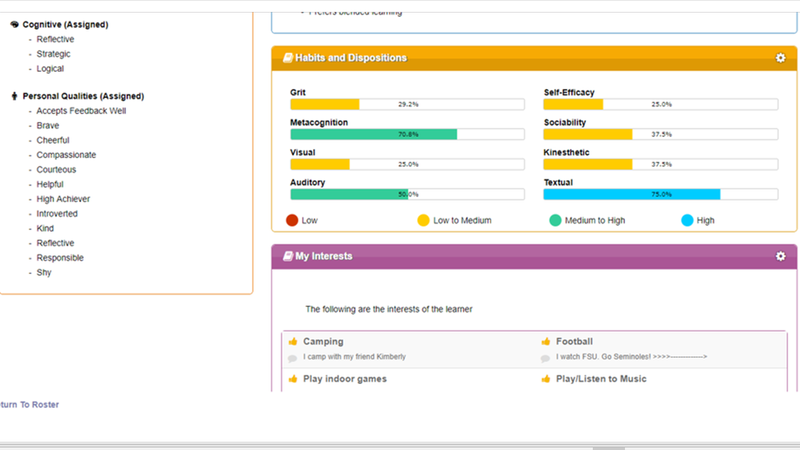 Builds out their Learner Profile with interests, preferences, a portfolio, and goals. Analyzes and reflects on academic and personal data. 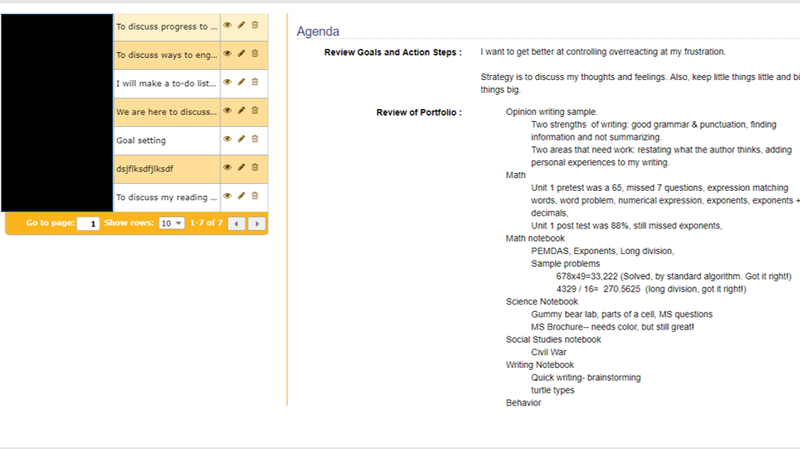 Sets and tracks progress towards short and long-term personal and academic goals. Develops habits for success with cross-curricular projects. Builds relationships with and supports the same students during their time at Locust Grove. Circulates and supports students in 1:1 conferencing. Houses Learner Profile, student data, and goals.